RAW Software: What is Available and What Should You Use? In the early days of digital photography, the very word RAW struck fear in the hearts of the average photographer. Huge file sizes, clunky workflows and non existent cataloguing software, meant a long slow process for those venturing into the realms of the digital negative. How much difference a few years can make. RAW now is an integral part of many a photographer’s workflow. In this article, we will have a brief look at some of the software out there both free and paid. The article is not intended to go into depth about each processor, more to give you an idea of software you can use. Adobe Camera RAW – In the early days this was one of those clunky programs mentioned above, however these days it has become a powerful and relatively easy to use component of Photoshop and Photoshop Elements. It does however, require either of those two to operate. Adobe Lightroom 4 – Along with Apple’s Aperture, Lightroom did much to change the perception of RAW and the realities of RAW processing. A fully fledged image management program with built in RAW support for the vast majority of modern cameras, Lightroom is perhaps one of the best value options out there. Tight integration with Photoshop is also a big bonus. DXO Optics Pro 8 – This is quite similar in many respects to Capture One in that the main emphasis is on image processing. One of its more interesting elements is the built in lens correction capabilities, overcoming the inherent distortions of individual lenses. These are downloaded as separate modules based on the camera/lens combination you are using and can be extremely useful. Camera Supplied – Most camera manufacturers supply some for of RAW processing software. This can be very basic free versions or more advanced paid options for example Nikon Capture 2. The advantages of manufacturer software is that it will give you the very best processing, as some of the RAW file features may have been held back from third party vendors. The disadvantages are that it can be clunky to use and more often than not does not include image management integration. RAW Therapee – This is an open source RAW processor that works on Windows, Linux and Mac OSX although recent versions are not well supported for the Mac. It incorporates a file browser that allows for tagging and rating and some a fairly comprehensive set of non-destructive editing tools. It does not however, have any extensive image management facilities. UFRaw – UFRaw is an optional plugin for Gimp, the free open source photo editing software. 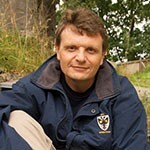 It is quite basic but does integrate directly with Gimp so can be useful for those on a tight budget. Again it is available for Windows, Linux and Mac. For Mac it is already built into GIMP. 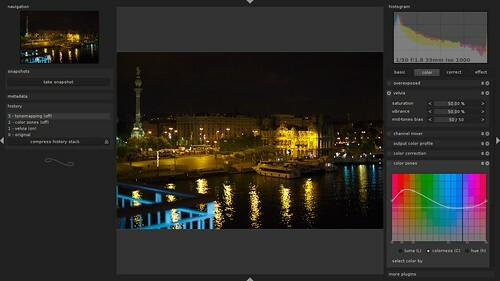 Darktable – This is another open source and well supported piece of software, aimed mainly at Linux and Mac users. 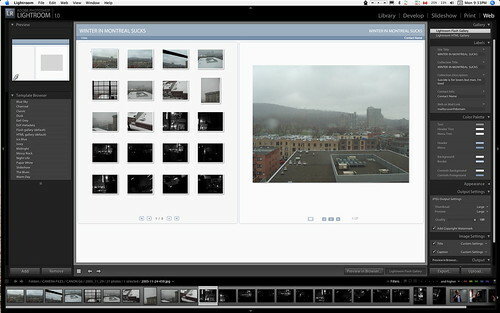 It features a basic image management system styled like a light table as well as some advance non-destructive editing tools. It is a fairly new kid on the block but looks to be shaping into a powerful program, with the added advantage of being able to take external plugins to increase it’s potential. Which RAW software you choose, depends very much on how much RAW you shoot. If you are shooting mainly RAW then options like Aperture or Lightroom are going to be the best as their image management integration will help you create a smooth and easy workflow. For those on a tight budget, Darktable would appear to be a good option, although there is very limited Windows support at the moment. Whatever you choose, shooting RAW is the best way to get the highest possible quality out of your images.